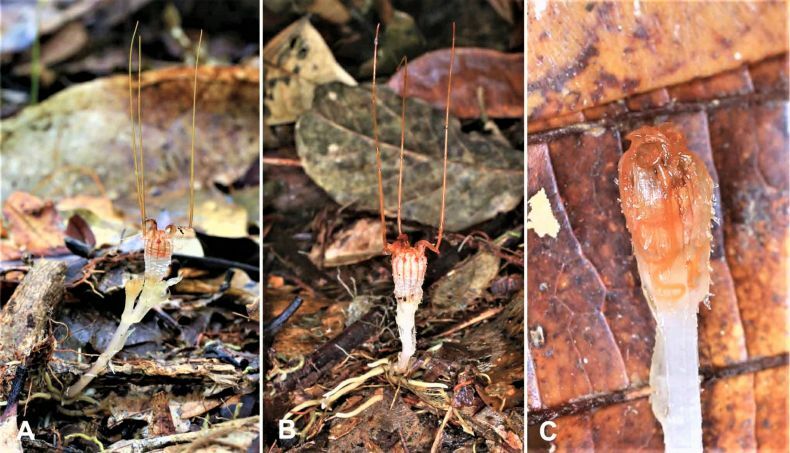 A plant that was last seen in the forests of Sarawak a century and a half is lost no more. Ladies and gentlemen (drumroll please!) here comes the “fairy lantern”! The plant Thismia neptunis has been dubbed as such thanks to its extravagantly rococo-style flower, which makes it resemble a flamboyant lantern or else a praying mantis, if you will. The flower was discovered for science in 1866 by Odoardo Beccari, an Italian botanist who went on an expedition in the jungles of Borneo and Sumatra. 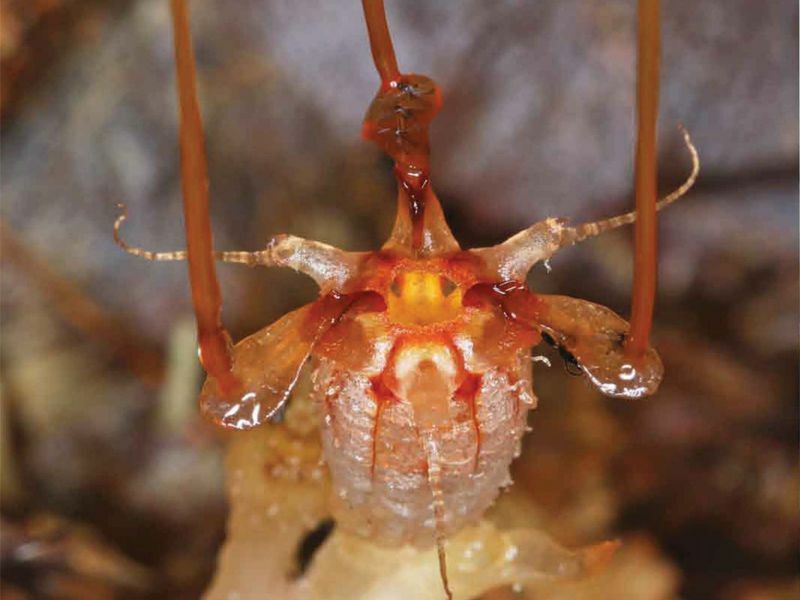 In the Malaysian part of Borneo Beccari came across a curious-looking plant. The plant, which boasted a weird-looking flower, had no leaves and contained no chlorophyll, which means it didn’t perform photosynthesis and thus needed no sunlight to survive. More curiously still, it turned out to live underground where it subsisted on fungi parasitically. Beccari was an accomplished illustrator and penciled intricate drawings of the plant. But then no one saw the “fairy lantern” until last year when a Czech team of researchers rediscovered in the same area of Sarawak where the Italian botanist himself saw it. That area, they explain in a paper they wrote on their (re)discovery, is at the Gunung Matang massif in western Sarawak. It’s as yet not known how far and wide the plant ranges in the area, but the plant is definitely rare. It can be detected only during its short annual flowering when it pokes part of itself out of the ground so that it can be pollinated by insects through its weirdly shaped flower. There are 76 species of “fairy lanterns” currently known to belong to the plant’s genus and of those 30 have been discovered since 2011.